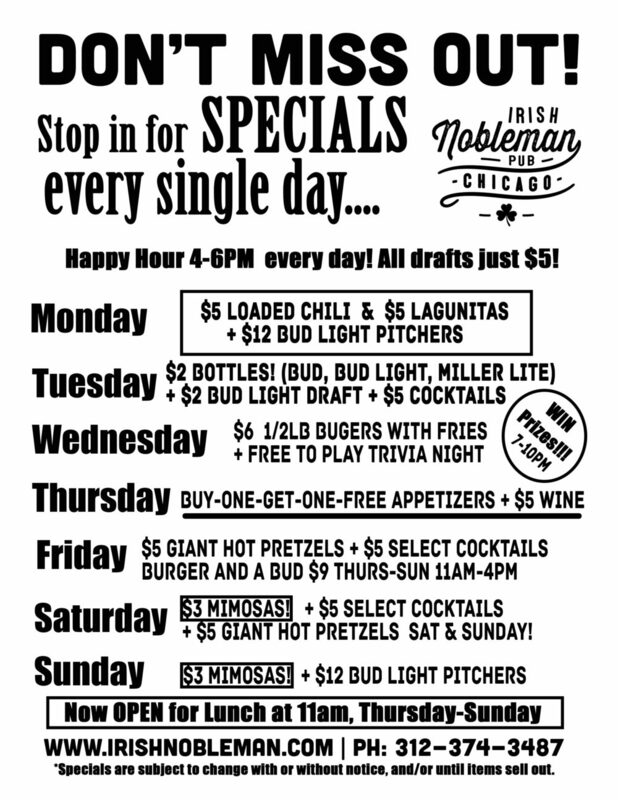 You can’t really ever miss out at Irish Nobleman Pub Chicago. Specials every day of the week including weekends and 7 days/week happy hour from 4pm-6pm. Paired up with great food, a warm atmosphere, and friendly faces- what are you waiting for? See you at Nobleman!